Passed away peacefully at the Ross Memorial Hospital, Lindsay on Tuesday, August 19, 2014 at the age of 87. 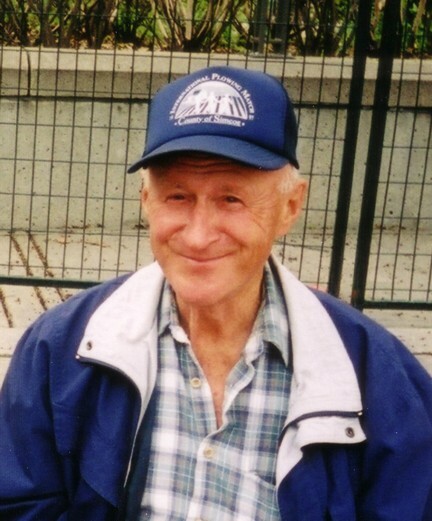 Beloved husband of the late Ruth Skuce (2005). Loving father of Bob (Lynn) of Lindsay, Judi (Marilyn) of Owen Sound and Cathy (Jim) of Janetville. Grampa of Jami (Sean Bolster), Patt, Jeff (Erin) and Matt (Emma). Great Grampa of Forrest and Emett Bolster. Survived by his sister Muriel (the late Wes Oliver) and brother Jack Magahay (Joan). The family will receive friends at Parker Funeral Home, 19 Moose Road, Lindsay on Friday, August 22 from 2:00 pm - 4:00 pm and 7:00 pm - 9:00 pm and on Saturday, August 23 from 1:00 pm until time of funeral service at 2:00 pm. Reception to follow. Interment at Janetville Cemetery later. If desired, in memoriam donations to the Canadian Diabetes Association would be appreciated by the family and can be arranged by Parker Funeral Home, 705-324-1988. Online condolences may be made at www.parkerfuneralhome.ca.